Member of the European Parliament (MEP) and the former European Minister of Poland, Ryszard Czarnecki, had a piece published on Modern Diplomacy on December 15th. Titled, ‘The Success of Iranian Activism Shows the Way to Correct European Politics’, the piece calls on Western politicians to recognize the influence of the Iranian opposition within the Iranian political landscape and adjust their Iran policies accordingly. Czarnecki began his article by praising the increasing number of Western governments making a serious push for firm collective action against the Iranian regime. He cites the foiled terror attacks in Albania and Paris that took place this summer, as well as the arrest of two Iranian agents in the US on espionage charges, and the attempted assassination of a political dissident in Denmark as flashpoints that have led to a gradually hardening attitude towards the mullahs. Following the failed bomb attack in Paris, the French authorities mounted an investigation and “concluded there was no doubt about Tehran’s responsibility for the Paris plot”. Czarnecki writes, “the stage was seemingly set for the entire EU to adopt economic sanctions that France had already imposed on the [Iranian] Ministry of Intelligence (MOIS) and its agents”. But the collective response and application of economic sanctions from the EU never came. “The desire for continued access to Iranian markets is surely part of the reason for this”, Czarnecki explains. Another reason is that, unlike the US, Czarnecki asserts that European policymakers may not be as familiar with the pro-democratic forces already operating within the Iranian landscape. The People’s Mujahedin Organisation of Iran (MEK), and the leader of Iran’s opposition, president-elect Maryam Rajavi, have a host of allies inside the Trump administration. As a result, American policymakers are aware of the organizational capabilities and popularity of the Iranian opposition within Iran. Czarnecki believes that Europe’s reluctance to adopt the US’s approach and administer economic sanctions “might evaporate altogether if more European policymakers were made aware of the organizational capabilities of the MEK”. 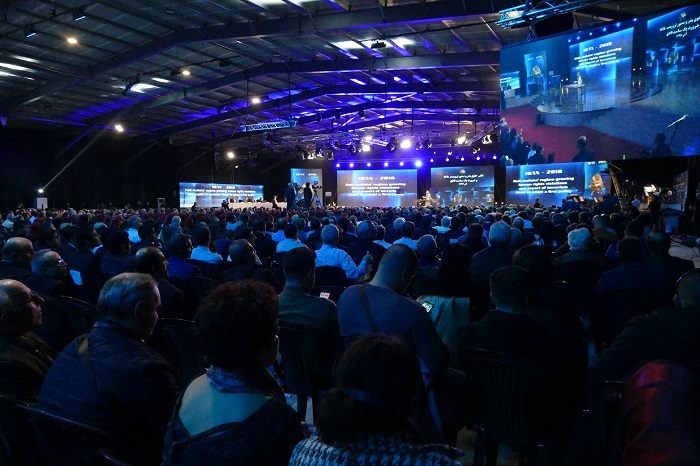 Even among the Iranian clerical regime’s leadership, there is an increasing willingness to acknowledge the MEK’s role in mobilizing the Iranian public. The Supreme Leader Khamenei blamed the MEK for the rapid spread of anti-government protests in December and January last year. 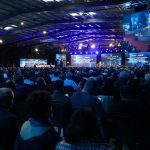 Iranian communities around the world have also been working tirelessly to demonstrate their support of the MEK and its leader. On December 15th, Iranian communities in 42 locations across the globe, including countries in Europe, North America, and Australia, hosted simultaneous conferences calling for a collective response from Western governments to the increased Iranian terror threat. The global teleconference drew attention to the many strikes and protests raging across Iran’s key sectors. “The persistence of those demonstrations is a clear sign of the activist community’s strength and the very real prospects for the popular overthrow of the world’s most foremost state sponsor of terrorism”, Czarnecki writes. Czarnecki concludes, “proper recognition of the Iranian democratic opposition will prove once and for all that a firm alternative is not only justified but imperative for a triumph of democracy in the Middle East”.